Spring Awakening: Chesapeake High School Prom 2018! We LOVED this school’s prom theme!! Set against our backdrop of champagne sequins, these wonderful students had a blast posing! For the cherry blossom theme, I opted for giant flowers, lots of fancy fans, and parasols (LOVE these!!) in addition to our usual yummy offerings of hilarious props. 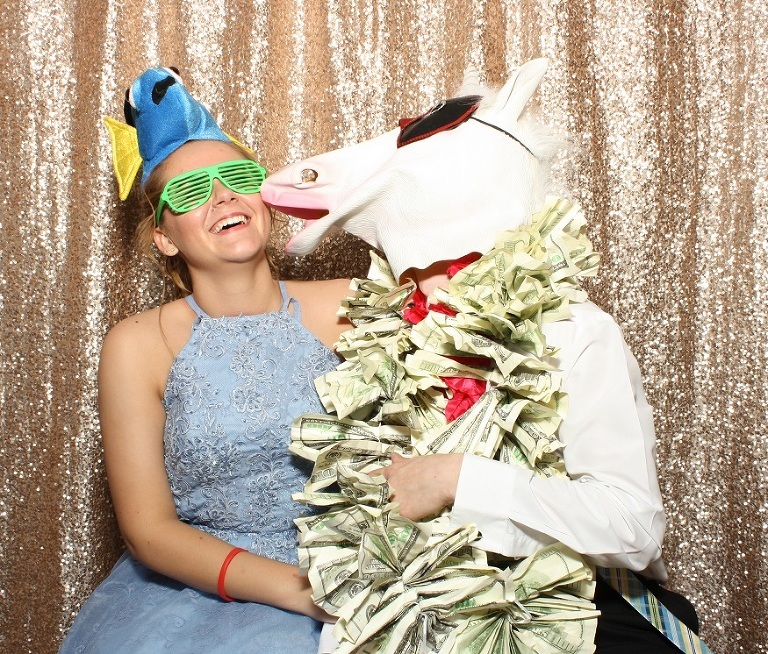 Mr. Unicorn made several appearances and a squid could be found lurking on the heads of some unwitting students 🙂 We would like to extend our warmest “Thanks! !” to this student body, their teachers, and everyone who helped make their prom a magical evening – thank you for dressing up with us!! !